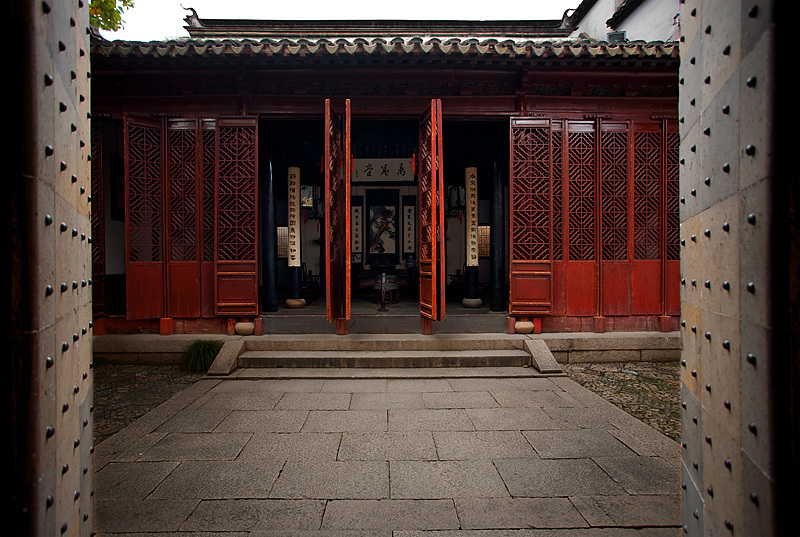 Suzhou is known for its many well-manicured "gardens" on the estates of the wealthy. Mouse over the image for an alternate post-processed version (Flash Required). The flash animation shows pre and post processed images. White balance corrected in ACR then brought into PS to correct barrel distortion and the standard set of photo corrections (curves, color balance, channel mixer, etc. ).